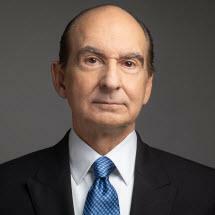 Founder of the firm, Edward DiMare Vassallo, Jr. focuses his practice in the areas of commercial litigation, real estate, eminent domain, inverse condemnation, condemnation, zoning, planning and land use. Mr. Vassallo is a native of Dallas and has served clients in Texas throughout his career. He received his B.A. in 1967 and Juris Doctor degree in 1969 from Southern Methodist University. While in law school, he was a member of the legal fraternity Phi Delta Phi and also a member of the Order of the Barristers, and served as Chief Justice of the Moot Court Board. From 1968 to 1969 he served as a member of the Southwestern Law Journal. Mr. Vassallo was admitted to the Texas Bar and the U.S. District Court, Northern District of Texas in 1969. In 1975, he was admitted to the U.S. District Court, Eastern District of Texas and the U.S. District Court, Southern District of Texas. He was admitted to the U.S. Court of Appeals, Fifth Circuit and the U.S. Claims Court in 1988. Mr. Vassallo is a member of the Texas Trial Lawyers Association, the Dallas Trial Lawyers Association, the American Bar Association and the State Bar of Texas, where he served as a member of the State Bar Grievance Committee. State Bar of Texas, American Bar Association and CLE International Lecturer (1980-2018) on State and Federal Eminent Domain, Federal Inverse Condemnation and Environmental Liability; has delivered over 125 papers and lectures in real estate law and litigation in Texas and several other states. Firm has been and is currently involved in eminent domain cases in Texas, Arizona, California, Colorado, Nevada, North Carolina, Washington and other jurisdictions. He has extensive experience as an author and lecturer on topics such as eminent domain, inverse condemnation, environmental liability and eminent domain trials. Author of such articles as "Law of Eminent Domain," "Anatomy of an Eminent Domain Trial," "Problems in Real Estate," "Real Estate Litigation Guide," "Use of Expert Witnesses" and numerous other articles on State and Federal Eminent Domain, Trial Strategy and Environmental Law. Authored statutory changes in the Texas Property Code; practiced in some 35 different counties in Texas, as well as out of State. Eminent Domain Conference, CLE International, 1999, Las Vegas, Nevada, "Introduction and Overview (Eminent Domain - Current Concepts and Practical Problems)"
Eminent Domain Conference, CLE International, 2000, Los Angeles, California and Austin, Texas; "Anatomy of an Eminent Domain Trial"